A home can’t fail an inspection. A professional home inspection gives you an independent, unbiased view of any problems and their solutions, so that you will have all the full facts you need to make a sound, informed decision. Depending on the size and condition of the home, a thorough home inspection will take no more than four hours, usually between an hour and a half and three hours. Ideally, you will accompany your inspector during the consultation, so that you’ll have visual reinforcement of your written report. We take our inspection reports seriously. 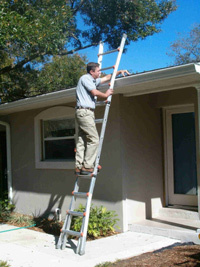 Every inspection is a complete and thorough analysis of all the major systems and components in the home. The report includes a clear description of what we've found, with any problem areas noted so you can easily identify them. Our home inspectors provide free telephone consultations after your inspections.